Sometimes we need a bridge and a nudge | Collier Wealth Management, Inc. 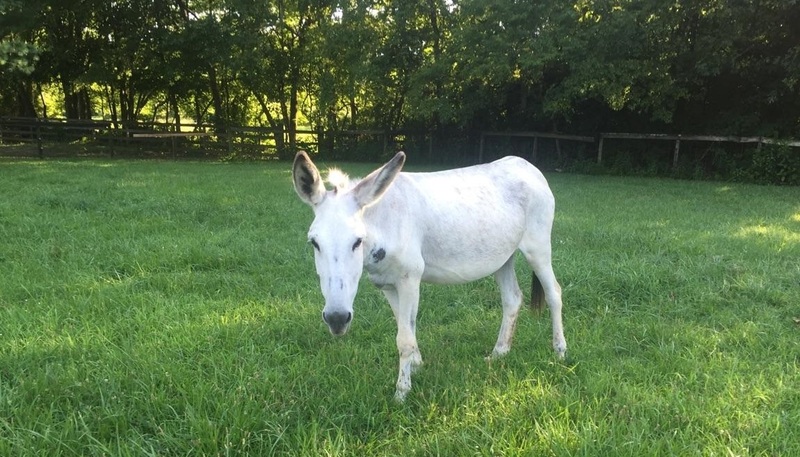 This week my wife Toni decided to trade some of our geese for a donkey. The great thing about where we live is there is always someone willing to trade equipment, supplies, or farm animals. We had seven geese in all - four White Chinese Goslings and three White Emdens. The Goslings turned out to be pretty aggressive to our kids and visitors. So we kept the Emdens, which are very sweet and friendly, but the Goslings had to go. Our neighbor had good use for them as watchdogs for her other animals, and her donkey was in need of more space and pasture. We had a neighbor’s dog kill three of our chickens recently and donkeys are excellent for running off any size predator. Plus, donkeys are excellent lawn mowers! When Toni walked this donkey named "Snow" down to the entrance of our home, Snow would not move forward because there is a cattle grate that prevents livestock from escaping (and naturally it prevents them from entering as well). There was no way she was crossing over the grate without help, Snow had been in a small space her whole life and had no idea what awaited her on the other side. It took a while, but with the help of some neighbors, Toni dismantled a section of our fence and made a bridge for Snow to cross. Then with a little nudge, Snow crossed the bridge and she is now enjoying her new home.